Delectable dandelion wine recipe! Making it is easy. See how to make the best! 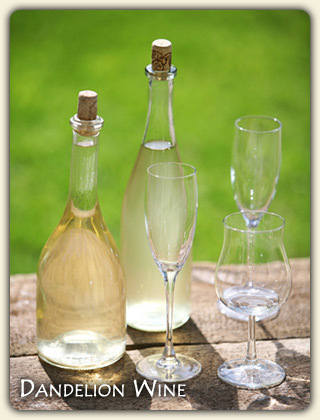 We are excited to share our favorite dandelion wine recipe! Dandelion wine making is an amazing process that turns a prolific, often overlooked wild plant into a true elixir of health. We'll show you exactly how to make absolutely delicious dandelion wine right here! There are many benefits to making dandelion wine. First off, you need not step into the wine section of the grocery store to buy your wine. It will likely be hard to find a bottle of it there anyway. Making your own dandelion wine is a simple process that puts you in touch with the plants, and all of nature in a deeply fulfilling way that words can't really do justice to. It is an experience of connection. Step right outside into the delight of springtime and pluck those bright yellow flowers for free! Just imagine drinking a cup of the essence of spring in the middle of winter. It's a really wonderful magic to be able to bottle up a season in this way. You're connecting with the seasons in knowing how to make dandelion wine. And there is nothing like the taste of dandelion wine. Just imagine a dandelion blossoming right into your mouth - it is amazing! Dandelion is high in calcium, protein and vitamin A, not to mention that there are a plethora of medicinal benefits to dandelion wine as well. Let's learn how to make dandelion wine! 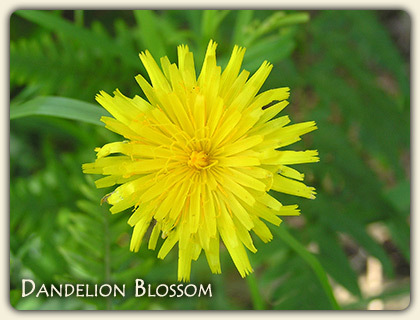 On a spring or summer day when it is sunny, go out and gather a half gallon of dandelion flowers. Separate the yellow flower petals from the green sepals (the small green leaves under the flowers). The reason for this is because the green sepals are bitter in flavor and you don't want to put that flavor into your wine. Put flower petals in a one gallon crock and pour a half gallon of boiling water over them. Make sure that the dandelion flowers are fully covered and soaking in the boiling water. Cover and steep for three days. After three days strain the flowers from the liquid and squeeze flowers to get all the juice from them. Pour into a cooking pot. At this stage in this dandelion wine recipe, add the ginger root, lemon and orange juice and peels to the liquid. Next add in sugar and gradually boil for 20 minutes. Pour liquid back into crock and let cool. Now add the yeast. Pour into a fermenting jug snugly fitted with an airlock. This will ferment anywhere from six days to three weeks while your liquid begins its' process of magically transforming into wine. When the fermentation stops, transfer to sterilized bottles with caps or tightly fitted corks. Let stand for six months. During this process your wine is going to season. This is when the true alchemy of this dandelion wine recipe comes to completion as it embodies its final full-bodied flavor in those months of summer and fall when you are out and about enjoying your time in nature. As the first snowflakes fly, sit around a fire with hearty friends, enjoying the delectable taste of dandelion wine as you reminisce about the glory of Spring. Interested in being personally mentored in Edible Wild Plants, on a transformational journey of connection to nature, community, and self? Check out the Twin Eagles Wilderness Immersion Program. If so, please join the thousands of other people who receive monthly Deep Nature Connection Mentoring Articles, Adult and Youth Program Listings, Exclusive Program Discounts, and more! Just enter your name and email, and click on the button below!